This rechargeable light source and energy hub combo fits in your hand. 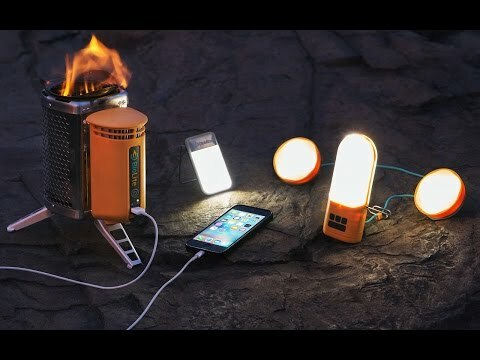 Whether for the backyard, an emergency, or while camping, this power supply station keeps your devices charged and offers soft, powerful light. Use the lantern base on a surface or as a flashlight. Hang up the daisy chain lights for overhead illumination—they’re detachable. And power up phones or tablets with the integrated USB port. Dimensions: PowerLight: 2.22" x 5.27" x 1.15"; SiteLight: 2.55" x 1.06" x 2.55"